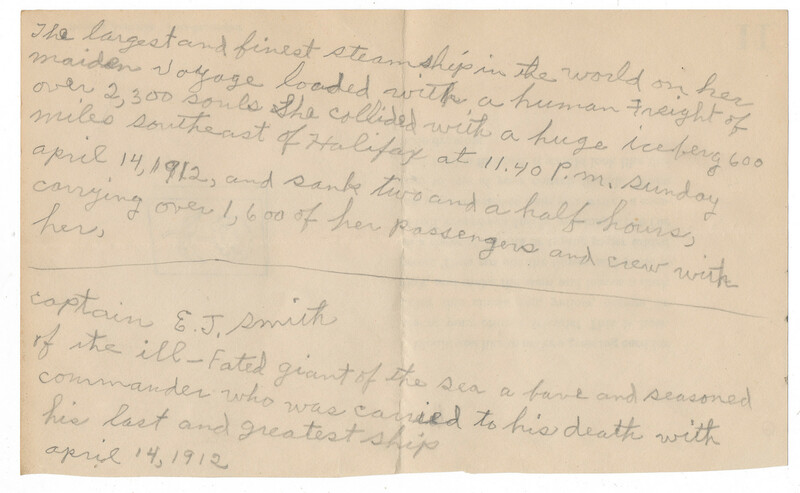 The largest and finest steam ship in the world on her maiden voyage loaded with a human freight of over 2,300 souls - she collided with a huge iceberg 600 miles southeast of Halifax at 11:40 PM Sunday, April 14, 1912, and sank two and a half hours, carrying over 1,600 of her passengers and crew with her. 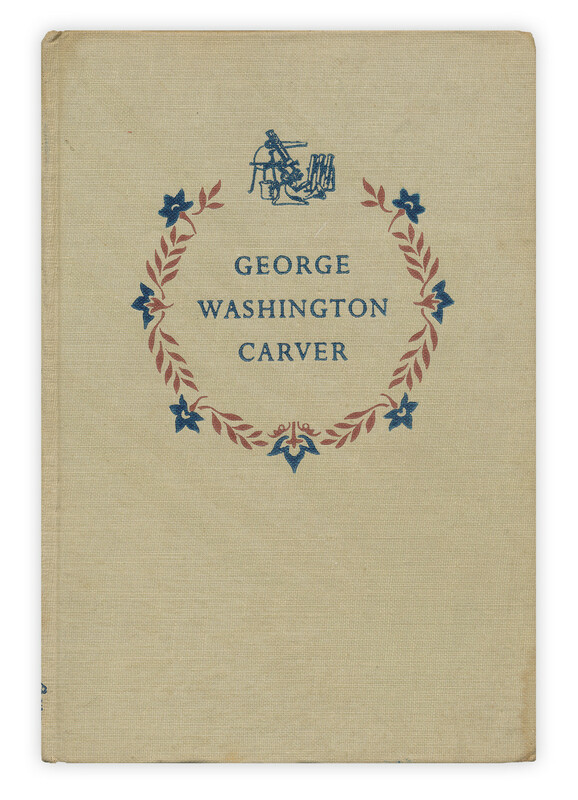 Found in "George Washington Carver" by Anne Terry White. Published by Random House, 1953. Cool finding! I love all things Titanic. Thanks for sharing this one!